To Sabbath School teachers: This story is for Sabbath, April 20. Mother didn’t expect Juliana to refuse a cake for her 11th birthday. “I want to bake you a chocolate cake,” Mother said a few days before Juliana’s birthday. “No, thank you,” Juliana said. Juliana had seen a crowd of homeless people sleeping at the bus stop when she and Mother had gone out, and she could not stop thinking about them. 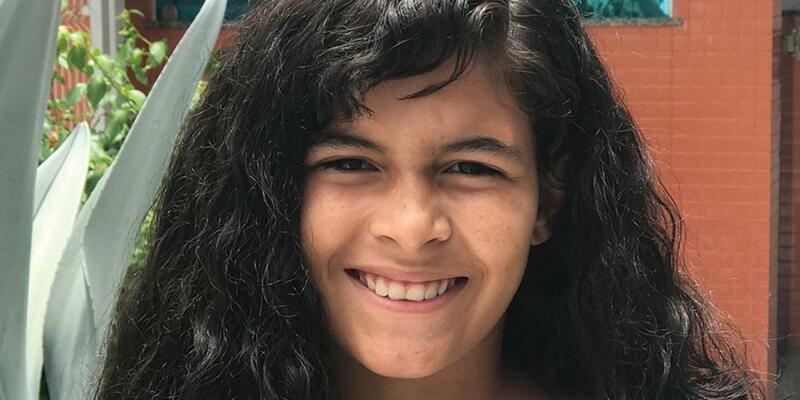 Juliana had learned about God at a Seventh-day Adventist church in Salvador, Brazil. She first went to church because she wanted to join its Pathfinders club. She had seen a neighborhood friend wearing the Pathfinder uniform, and she wanted to be a Pathfinder, too. Then she gave her heart to Jesus and was baptized. Mother was glad that Juliana loved God, but she wasn’t interested in going to church. After Mother said she couldn’t cook soup without a big pot, Juliana visited the homes of several Adventist neighbors and asked if they had a big pot that she could borrow. Two neighbors gave her big pots, and she brought them home three days before her birthday. The next day, Juliana gingerly asked Mother again whether she could make soup for the homeless. Mother secretly hoped that Juliana would be too shy to go to the store. At the store, she told the manager about her desire to make soup for the homeless. He told her to return the next day. Juliana went to several other stores, and the managers also told her to return the next day. She also visited the Adventist neighbors again, and they promised to bring over some vegetables. The day before Juliana’s birthday, she stopped at the first grocery store after school and received a huge bag of vegetables. The other stores also gave her food, and then the Adventist neighbors began knocking on her door with donations of food. Mother was shocked as she saw the bags of onions, chili peppers, potatoes, carrots, pumpkins, corn, spices, and other ingredients for soup. “What’s happening here?” she asked. “These are the ingredients for the soup that you are going to make!” Juliana declared happily, and she showed Mother the two big pots that she had borrowed. Mother was amazed at Juliana’s determination to help the homeless, and she had to admit that she didn’t actually know how to make soup. When several Adventist women realized this, they came over to help make the soup. The homeless people were delighted. They formed a circle around Juliana and, clapping, sang “Happy Birthday” to her. Mother felt ashamed that she hadn’t wanted to help the homeless. She realized that Juliana was filled with the love of God — and she wanted to be filled with God’s love, too. Two months after Juliana’s birthday, Mother was baptized. Today, Juliana and Mother and several other church members go out twice a month to feed the homeless. Part of this quarter’s Thirteenth Sabbath Offering will help open a place in Salvador, Brazil, where people can take Bible studies and healthy cooking classes. Thank you for your mission offering.